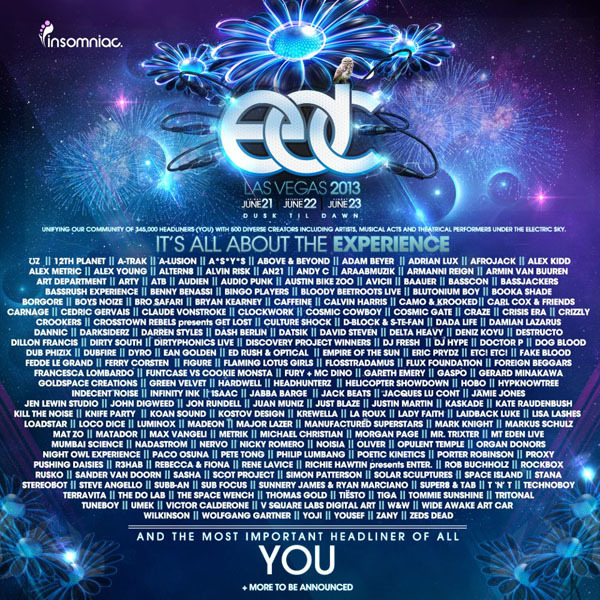 Insomniac has announced its full lineup for the 17th annual Electric Daisy Carnival (EDC) at the Vegas Motor Speedway. The lengthy slate includes such acts as Avicii, Boyz Noise, Major Lazer, Zeds Dead, A-Trak, 12th Planet and more. Check out the list and poster below. Tickets for the event are sold out. Shuttle passes and hotel deals are still available here.